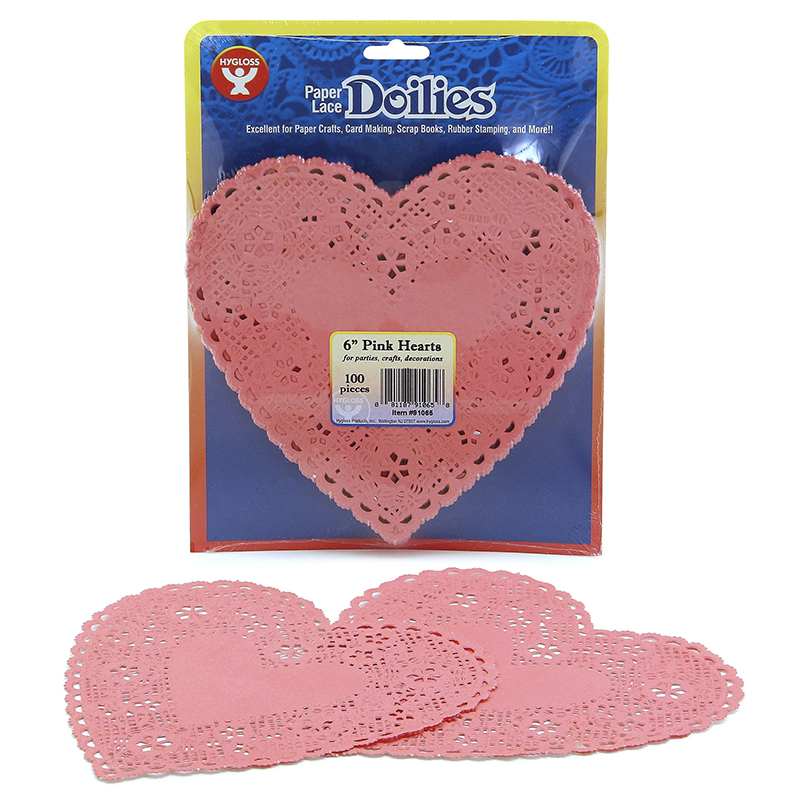 Our heart doilies can be used to make holiday greeting cards for Mothers Day, Valentines Day, and anniversaries. Paper doilies are also unique for creating elegant invitations for special occasions such as parties, graduations and dinners. 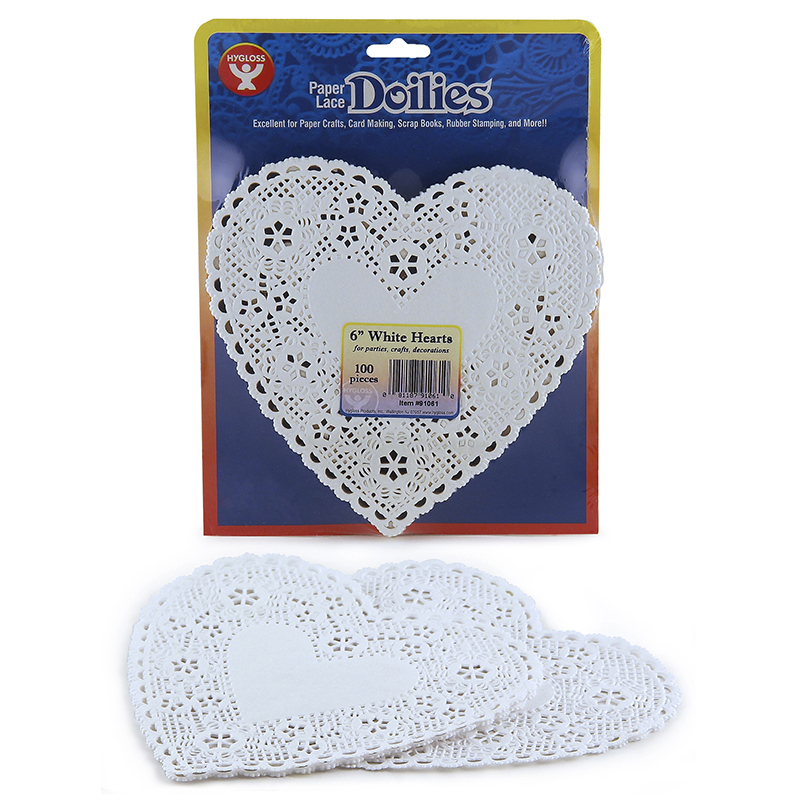 Use our decorative heart doilies for crafts projects, table settings, card making and other projects where hearts will add warmth and color. Each pack includes 100 red 6" paper heart doilies. Bundle includes 4 packs for a total of 400 doilies. 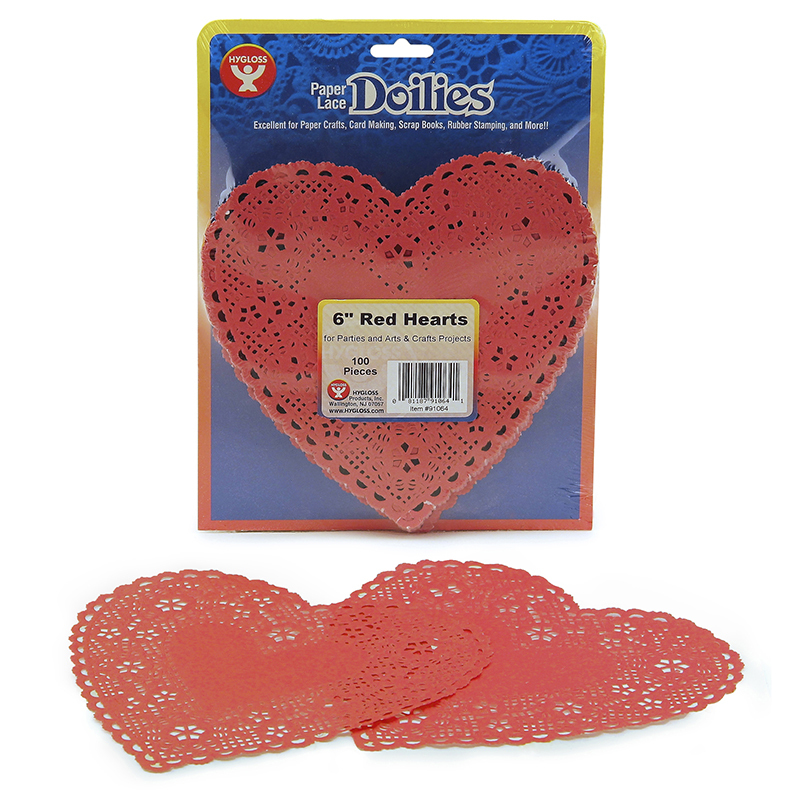 The (4 Pk) Doilies 6 Red Hearts100 Per Pk can be found in our Doilies product category within the Arts & Crafts.